I've had my email address for a LOOOOOOOONG time. Like years and years and years. Somehow in all those years I have managed to give out that address. So, I have subscribed to a lot of things. And get lots of JUNK. I guess I didn't think I had enough of my own thoughts. I needed to borrow someone elses. Also, through the years, I have signed up for every clothing, shoe, baby site available. I guess to get free shipping or a free something. For one week, every. single. email. i. get. I am going to take the time to unsubscribe. Usually I just hit delete. 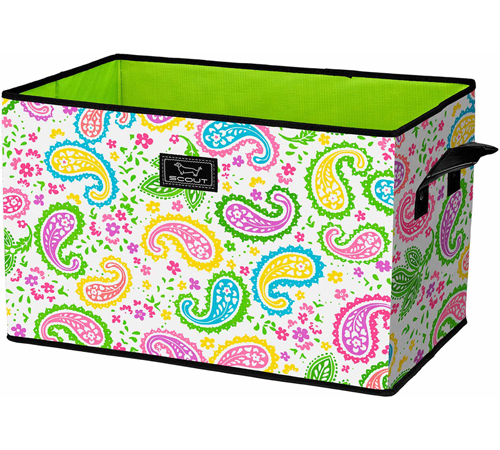 I just bought this JUNQUE TRUNK from SCOUT. Love THIS kind of JUNQUE. I bought it for the back of my car. To hold all my JUNK. Now, let me go delete some junk. I do the same thing. I might unsubscribe this week too! I'm just running over with junk of all shapes, forms, colors, and types in the house, on the computer, and everywhere!! If I would just quit blogg-hopping and start deleting! Way to much 'junk' everywhere. I have done a little de-junking but must do much more! Miss Angelove...no wonder you have that perfect name! Thank you for your sweet comment on my blog. I commit to praying for you and your precious family for 30 days as well. You are a true inspiration to me and I will never again miss reading one of your posts. You have lifted me more than you will ever know. Thank you for being such a dear friend!! AND, I LOVE your Junk Trunk! !